MIAMI, January 23, 2018 – JLL announced the addition of two experienced brokers to its Florida Retail Brokerage practice. Andrew Rosenberg joins JLL as Vice President and Kesha Williams as Senior Associate of Retail Brokerage for the South Florida market. The new hires reflect JLL’s ongoing commitment to growing the firm’s leasing and tenant representation offerings in one of the country’s gateway markets. 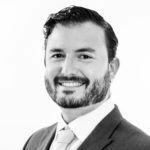 Rosenberg joins JLL from South Florida-based Rosenberg Realty Corp., where he honed his skills in tenant representation for local, regional and national tenants, as well as handling the leasing of commercial properties. For two consecutive years he was a recipient of a CoStar Power Broker Award. A graduate of Miami’s New World School of the Arts, Rosenberg has deep roots within the South Florida community. He is a member of the Beacon Council’s New Leader Taskforce and the International Council of Shopping Centers. Rosenberg earned his bachelor of fine arts degree from Rutgers University. Most recently, Kesha Williams served as a Leasing Advisor in The Shopping Center Group’s Miami office, where she specialized in creating value by strategically analyzing the dynamics of the marketplace to develop appropriate tenant target lists and marketing plans. She began her career in commercial real estate in the Property Management division of JLL’s Atlanta office. Williams holds a degree in finance with a concentration in business administration from Clark Atlanta University. She is an active member of CREW-Miami and is a NextGen member of the International Council of Shopping Centers. JLL partners with retailers, investors and owner/operators with its extensive team of dedicated professionals around the world. They understand the inherent complexities and variability associated with both the retail industry and increasingly complex capital markets. JLL’s specialists are recognized for their independent and expert advice to clients, backed by industry-leading research that delivers maximum value. With leading in-depth knowledge of the local, regional and global market dynamics, JLL aims to truly partner with its clients for the entire lifecycle of an asset or lease. Its experts deliver clients maximum value to support and shape their investment, site selection and brand strategies. JLL is the largest third-party retail property manager in the United States with more than 1,000 centers, totaling 125 million square feet under management. The firm has more than 140 retail brokerage experts spanning more than 30 major markets, representing more than 900 retail clients. In 2015, JLL’s retail experts completed transaction management and portfolio optimization on 1,500+ leases, negotiated 500+ leases for retailers and 1,000+ leases for landlords and completed more than $2.7 billion of investment sales, dispositions and financing for investors. For more news, videos and research from JLL’s Retail Group please visit: www.jllretail.com. Categories: Americas Retail and tagged commercial real estate, florida retail, JLL Retail, retail brokerage.